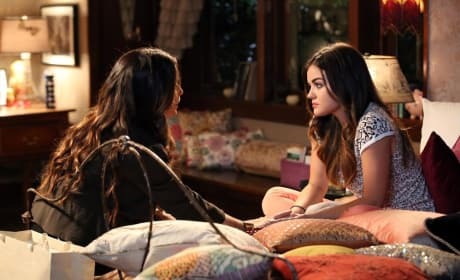 Spencer visits Aria's bedroom for this conversation. Aria still deep in discussion with Ezra. Find out what she's trying to get across in "A Dark Ali." 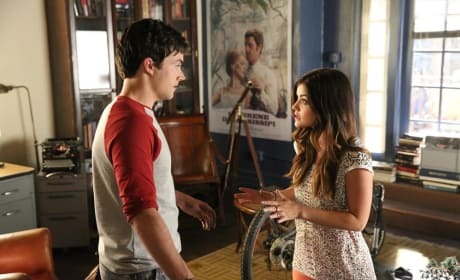 Aria seems to be closing down the conversation in this photo from "A Dark Ali." 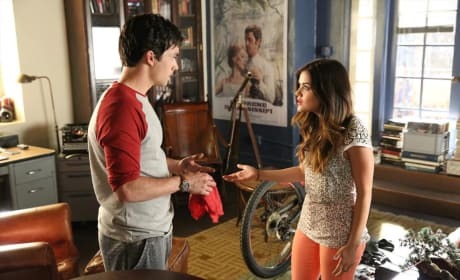 Ezra and Aria are hashing something out in this photo from "A Dark Ali." 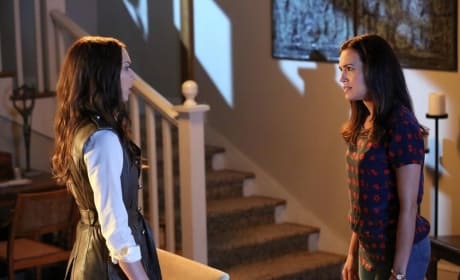 Aria and her mom have a heart to heart in an upcoming episode of Pretty Little Liars. 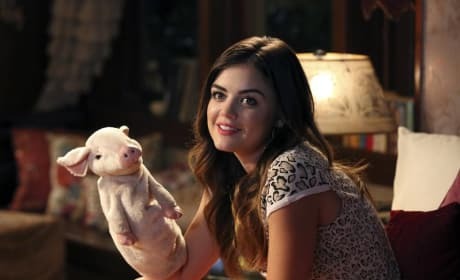 Aria plays with a puppet who happens to look like a little pig. Strange, no? Something has really caught the eye of the girls as they investigate on the computer. 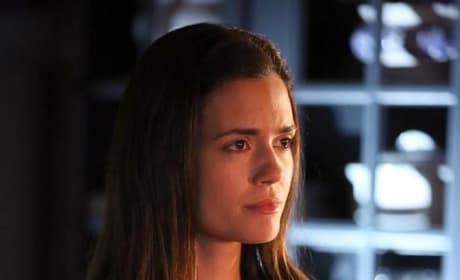 Melissa looks determined after her conversation with Spencer. Spencer and Melissa meet. We can't wait to find out what they're talking about! Spencer dresses to accentuate her intelligence with a snappy leather vest in this still from "A Dark Ali." 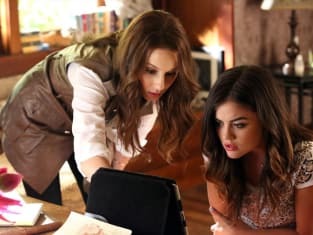 Spencer points out something of interest on the computer to Aria in "A Dark Ali."